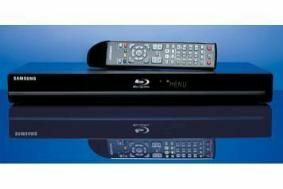 IFA NEWS: Samsung to add YouTube to its Blu-ray players | What Hi-Fi? Existing owners of Samsung Blu-ray players will be able to upgrade their device with both features via a firmware update from Samsung.com. “We know our consumers want access to multi-platform content, and the addition of YouTube to our Blu-ray players aims to provide this to them – from the comfort of their living room,” says Robert Shaw, General Manager CTV & Home Platforms. Customers can simply update their Samsung Blu-ray player by visiting Samsung.com, either wirelessly from the device using a Samsung wi-fi dongle, or through a wired Ethernet connection. “Adding MKV file support and YouTube to our range of Blu-ray players is the latest step from Samsung Electronics in providing an unparalleled home-cinema experience for our customers” adds Shaw. The YouTube feature will also be available on all Samsung Blu-ray home cinema systems from Q4 2009. For more information visit www.theblubutton.com. We'll bring you more Samsung news from IFA later today.